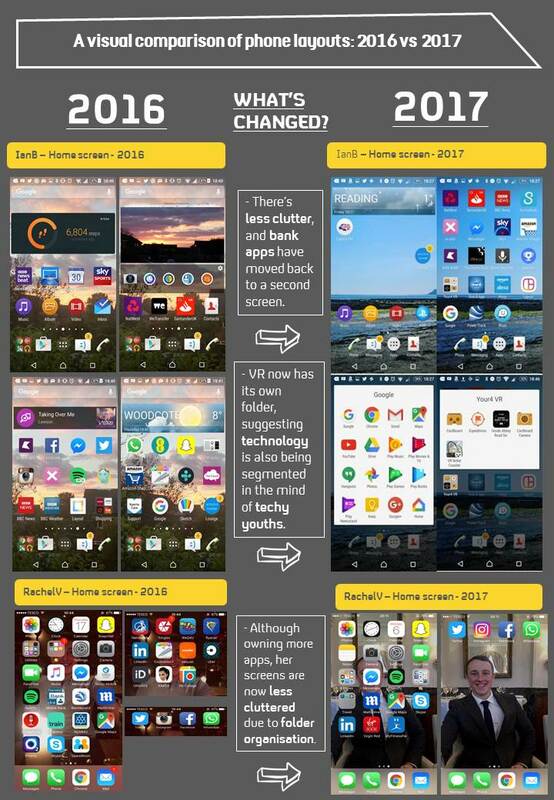 The top apps among our group have remained consistent since our initial exploration in 2016. It would appear digital communication through efficient and creative means remain the top priorities for this group. Other communication apps, namely Facebook messenger and email services also rank highly among our group as essential apps. 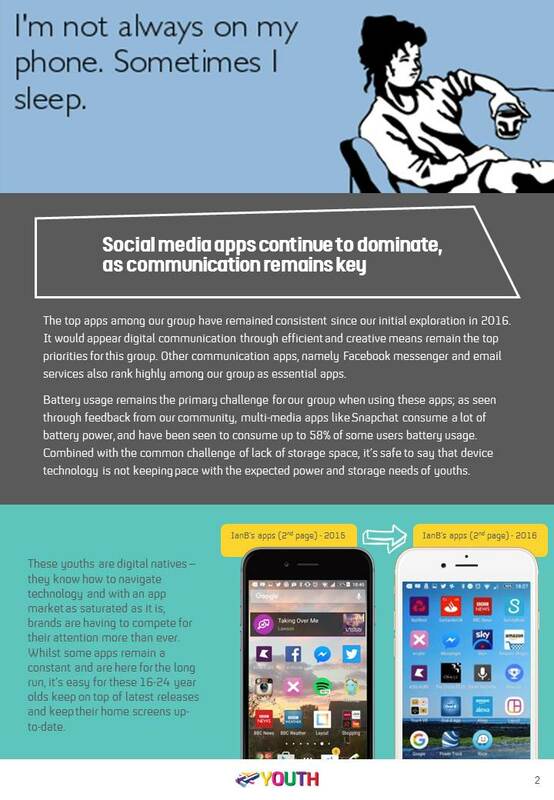 Battery usage remains the primary challenge for our group when using these apps; as seen through feedback from our community, multi-media apps like Snapchat consume a lot of battery power, and have been seen to consume up to 58% of some users battery usage. Combined with the common challenge of lack of storage space, it’s safe to say that device technology is not keeping pace with the expected power and storage needs of youths. These youths are digital natives – they know how to navigate technology and with an app market as saturated as it is, brands are having to compete for their attention more than ever. 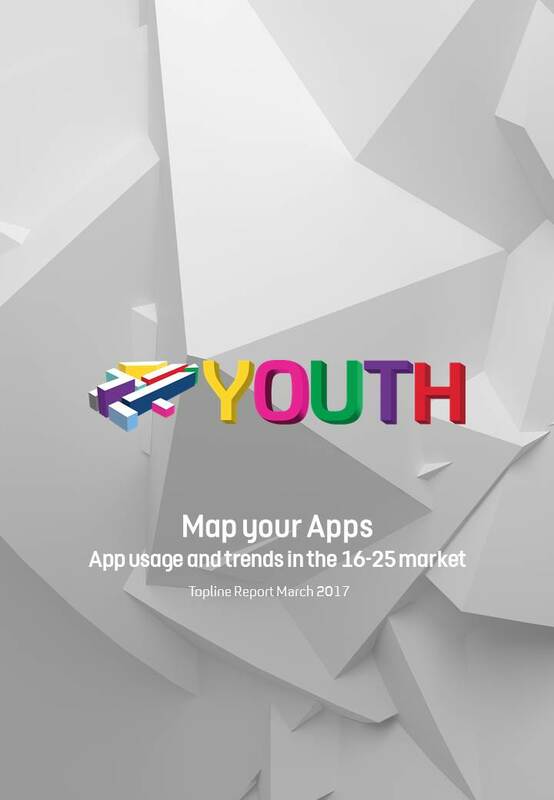 Whilst some apps remain a constant and are here for the long run, it’s easy for these 16-24 year olds keep on top of latest releases and keep their home screens up-to-date. 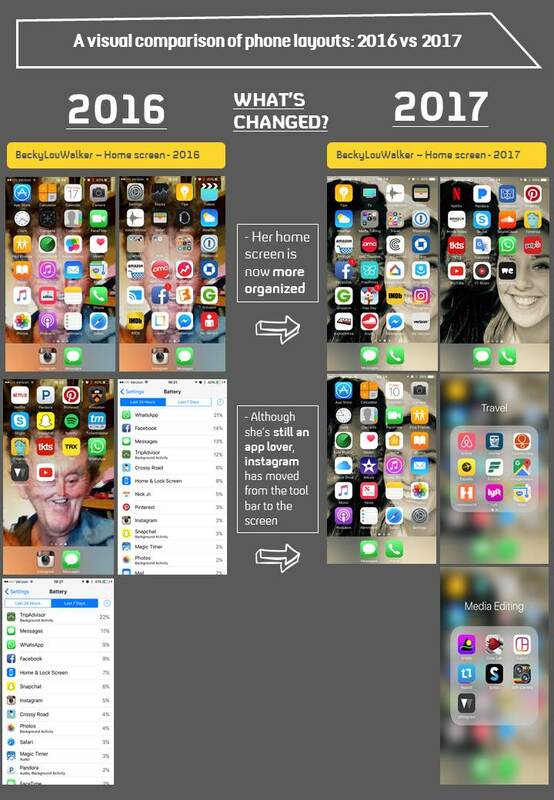 Our group are savvy when it comes to uncluttering their home screen and are well versed in the latest software to organise important resources. Apps are often categorised and packed away into folders on users home screens for ease of access, and apps such as Eventbrite help users keep all their tickets in one place. The fact that public transport, particularly train travel, is so popular among this demographic, easy to use portals such as the Trainline and Virgin’s train app become essential tools to our group. With the youth trying to squeeze every penny out of their budget, the ability to shop smart and trade through their phone allows them to access the market place like never before. Depop, a stylish marketplace app that requires users to employ hashtags to advertise their wares, was mentioned favourably by a number of respondents. 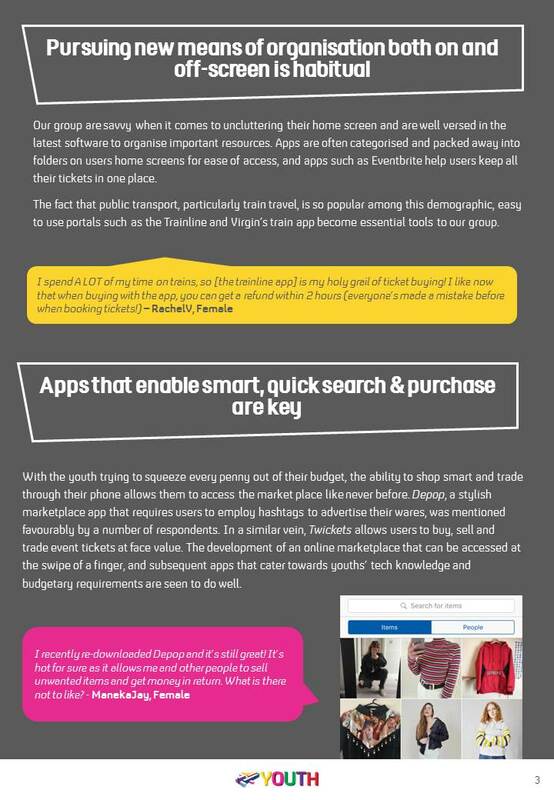 In a similar vein, Twickets allows users to buy, sell and trade event tickets at face value. The development of an online marketplace that can be accessed at the swipe of a finger, and subsequent apps that cater towards youths’ tech knowledge and budgetary requirements are seen to do well. In an industry that generated almost $37* billion in 2016 there are inevitably hegemonic and opportunity seekers, both of which are represented in our group. Candy Crush was noted both favourably as an addiction, and negatively as an app that was deleted to free up storage. 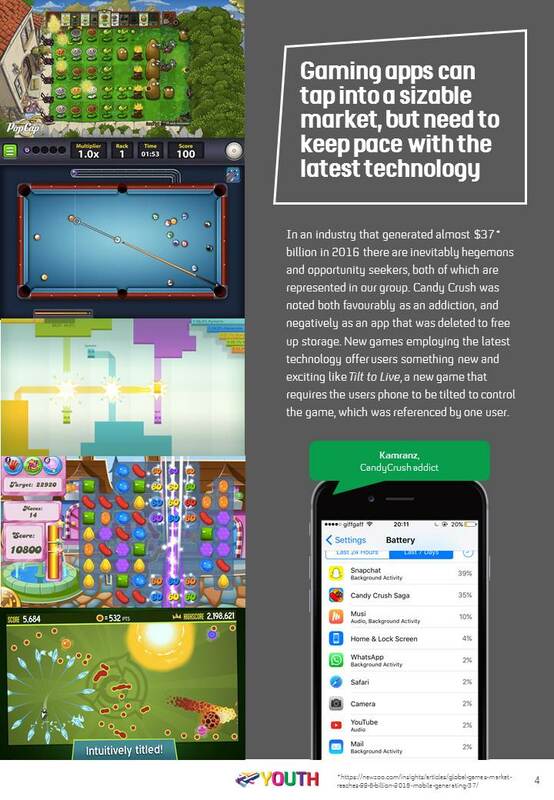 New games employing the latest technology offer users something new and exciting like Tilt to Live, a new game that requires the users phone to be tilted to control the game, which was referenced by one user.